September 2015 – Higher Purpose. Higher calling. Why I Coach Youth Baseball. Why do I spend 3-4 nights a week and almost every weekend from March to the end of June traveling all over Nashville to different baseball parks? Part of my answer to this question is because I enjoy coaching baseball, but the majority of my response has nothing to do with the sport. 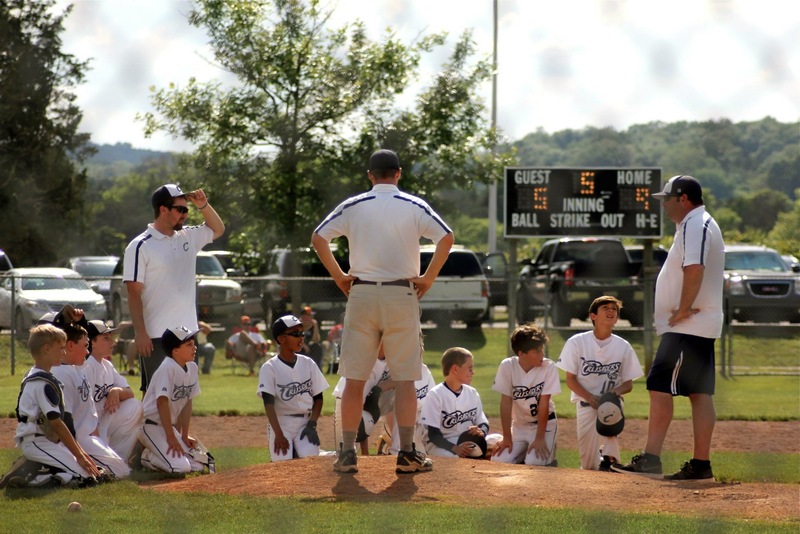 Yes, I do love getting the opportunity to coach my boys in baseball. One of the most gratifying parts about coaching is to see how each boy has grown and progressed in his game from the beginning of the year till the end of the year. But knowing that I was able to help each boy in some way or another get better in his personal game throughout the year is only one of the many reasons why I choose to coach. The much bigger reason why I coach has absolutely nothing to do with the game of baseball, but everything to do with the game of life and each one of these boys’ relationships with Jesus Christ. Because at some point in each one of their lives, their baseball careers will end just like mine did and they will be faced with the rest of their lives. 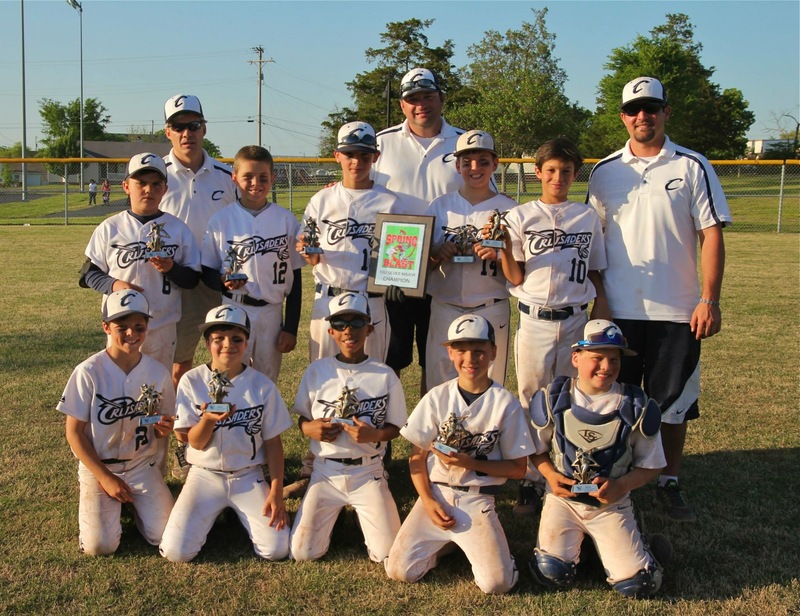 My biggest hope and prayer is that these boys will choose to have Jesus on their team as they venture throughout life, even when their baseball careers are over. 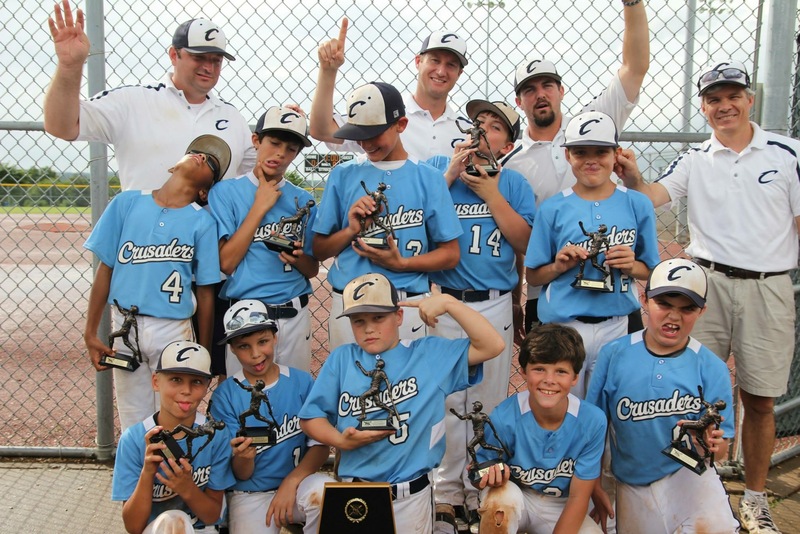 When I was asked to help coach the Crusaders I agreed without hesitation thinking, “I love being with kids, I love baseball, and I have always wanted to try coaching at some level.” Little did I know that the most enjoyable and gratifying part of coaching these boys would have nothing to do with the game of baseball. I never fully understood the influence that someone my age, who had played a collegiate sport, could have on a bunch of 10-13 year old kids. Like I jokingly tell people sometimes, “I could tell my boys to go sit in center field and pick grass; and that would make them become a better baseball player.” As ridiculous as that sounds, every single one of them would do it because I said that it would make them a better baseball player. This obviously would not help them become better players, but before a coaching experience like this you never fully grasp the platform given to you having been a former collegiate athlete. These kids look up to your every move only because I am able to say I was given the opportunity to play collegiate baseball. 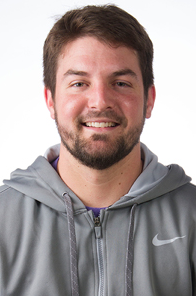 Even saying I was a collegiate athlete doesn’t qualify me to be a coach to anyone. But, knowing these boys look up to someone that has been given the opportunity to do that, I am able to use my influence in a way that has much more to do with Jesus and the rest of their lives than it does with the game of baseball. This is by far my greatest desire as a coach: that I am able to help prepare these boys for life as they move on to middle school, high school, college, and beyond. I wish that I was able to say I have been able to teach these boys more about Jesus than they have taught me, but that would be a complete lie. I have learned so much from these ten boys over the past two years, from the importance of having a child-like faith to living each day to the fullest. Whether it be rolling through the mud during a rain delay or thanking Jesus for allowing us to play baseball in our post-game prayers, I have seen Jesus so much through these boys in many different ways. As I continue to learn more about Jesus and His ministry here on earth, I begin to realize how much He invested into His twelve disciples during His time here on earth. The more the Lord showed me this, the more I began to view these ten boys as an opportunity for me to begin to heavily invest in their lives. Instead of going out and trying to meet with as many people as possible and spread myself thin, the Lord began to say to me look at how Jesus did it, learn from His example. Jesus took twelve ordinary guys and lived life with them, everyday all day. He allowed them into a deeper part of His life, more than other person that He came into contact with during His time here on earth. That is how I want to model my efforts as a coach to these boys. I want it to be more than me just showing up for games and practices then heading out. I want to come alongside their parents and be another positive voice for them to help combat all the negative ones that surround them daily. I coach because I want these boys to experience the incomprehensible amount of love, grace, and peace that Jesus Christ offers us through Him. I desire that they fall so madly in love with Jesus and experience so much of His Spirit inside of them, that they desire to actively share His gospel with everyone they come into contact with and desire to go out and multiply His kingdom with their lives each and every day. 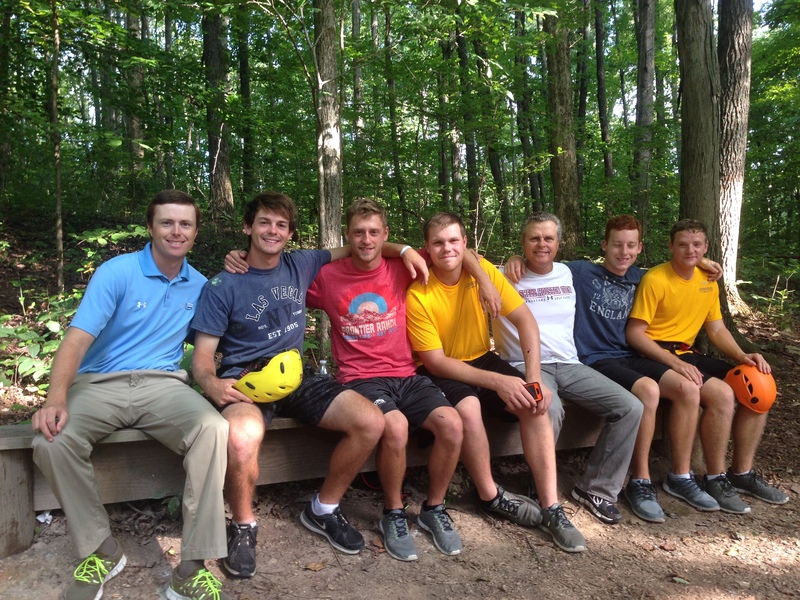 Men’s Golf Coaches and a few of the guys from the team. 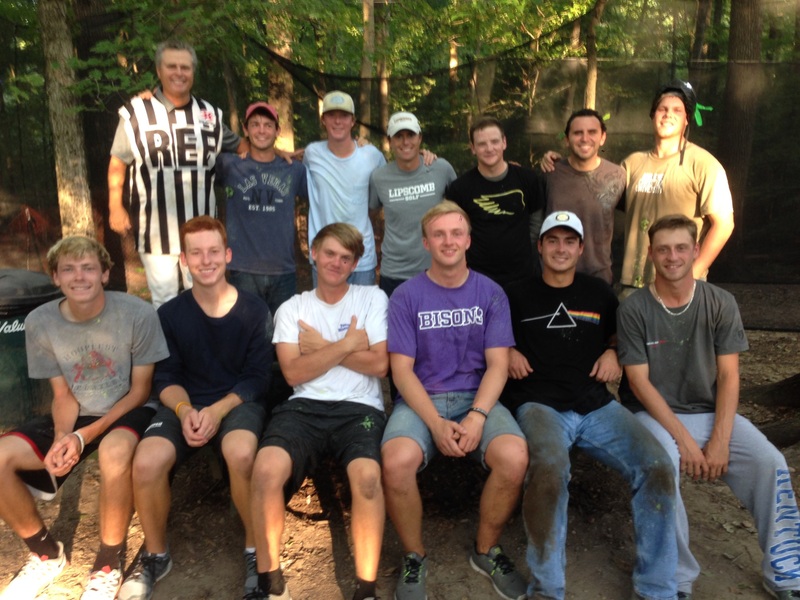 The Men’s Golf team started their year off with something very unique and different from the past. The coaching staff decided it was important to start this years journey away from the golf course, and rather focus on the relationships and the direction this program is headed. For 24 hours, the team lived in perfect unity. They ate meals, played games, enjoyed a camp fire, got to know each other beyond the course, and relied on each other during a high ropes challenge. The only discord was on the paintball course, but even then, the laughter and excitement only drew the team closer. Men’s Golf members balance and walk across a tight rope between trees. Every person travels a road. 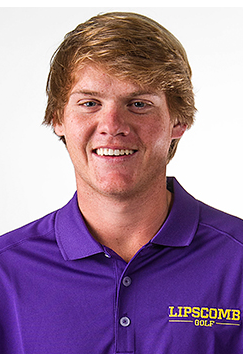 Every team travels a road, and for this Men’s Golf Team, THE ROAD TO AMAZING is where they are headed…. 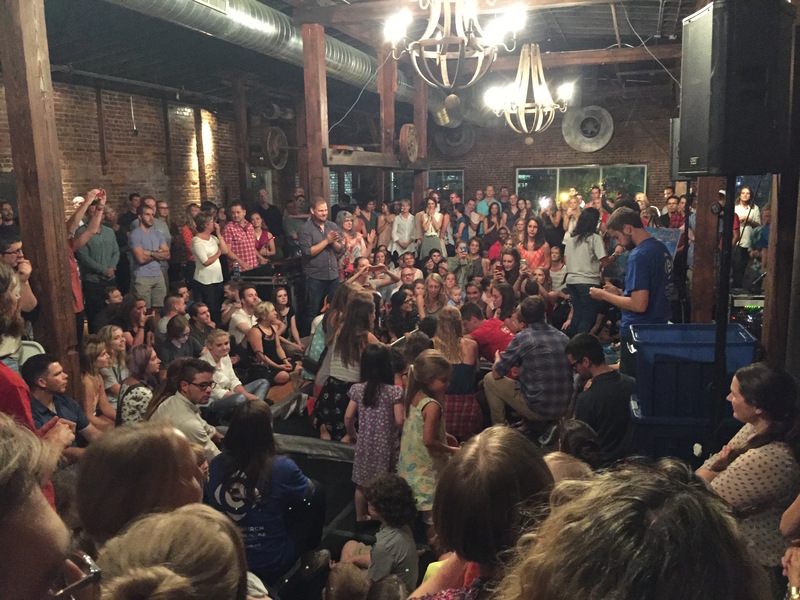 Last week, on Sunday evening, there were three members of the Lipscomb Women’s Cross Country team that decided to follow through in their faith in Christ… Sophomore Kayla Montgomery, 5th year Senior Transfer Kate Bucknam, and recently graduated Missy Dowd each chose to be baptized Sunday Evening at Ethos Church in Nashville, TN! Missy Dowd & Teammates celebrating tub side! So this weekend I made the spontaneous decision to get baptized. It has been something that has been on my heart for a while, I was just waiting for the right time for it to present itself. Sunday night felt like the right moment. I was surrounded by my teammates, who I’ve only known for a total of 16 days at this point, but who I now feel are my sisters. As we worshiped together, I felt the Lord tugging on my heart to make the declaration that Jesus is my Lord and Savior through this representation of being alive in Christ. As I wrestled with the decision through a couple songs during worship l realized there was nothing to question. I stood up and went up to my coach, Jenny, who was standing in the back, and asked if she’d baptize me tonight. It was an incredible moment…to be in an atmosphere consumed by the Holy Spirit, surrounded by the people you love most, and dunked in the water by someone I look up to tremendously as a coach who lives by example by daily running to Jesus. The timing couldn’t have been more perfect. God is ready to do some big things with this team- He already is. That night I experienced a new depth in my relationship with God and a deeper connection with my sisters and brothers in Christ. To see how God uses this team through our vulnerability, boldness, and desire to simply know him more is what will make this team everything that it is called to be and will be incredible to witness. 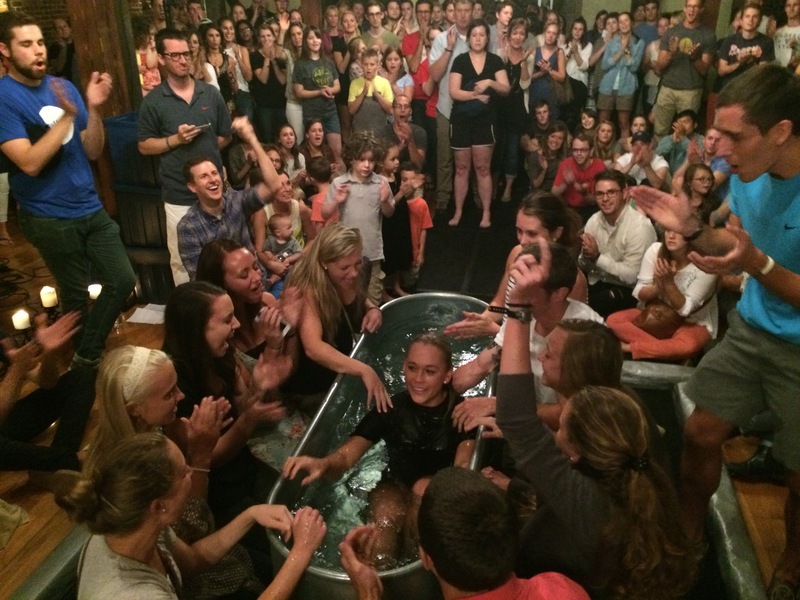 Click the link below to watch Kate’s baptism!